Dessert Candles – oh my. 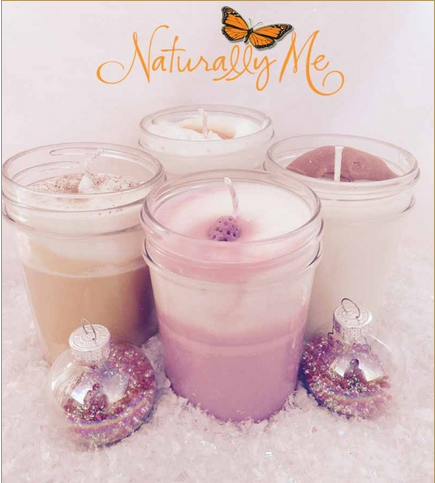 I love love love food scents, and these candles by Naturally Me sound amazing! 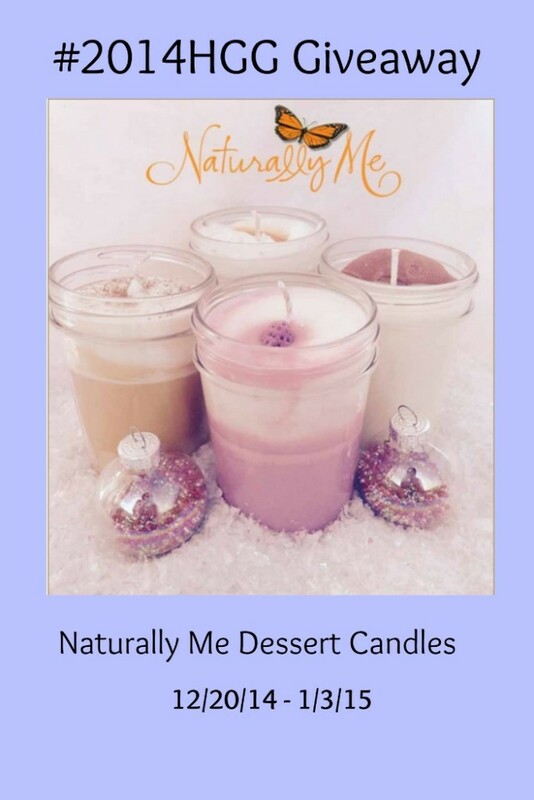 Naturally Me is a company that makes delicious smelling candles for the home, plus products that are safe for all skin type (even sensitive skin). They are featured in our 2014 Holiday Gift Guide and you can read more about them at Finding Sanity In Our Crazy Life. Naturally Me is sponsoring a giveaway to help you start the New Year with great scents for your home. They will be giving one lucky winner a set of 4 Dessert Candles. (Yum!) These candles are handmade and will burn for hours. The scent stays the whole time they are burning and will fill your house with the delicious aromas of fresh fruit, handmade pies, and more. To learn more about all Naturally Me products, you can visit them on online HERE! Giveaway runs from 12/20/14 – 1/3/15. Winner has 24 hours from the time of email to respond or a new winner will be drawn. Must be 18+ and a US resident to win. Check out Naturally Me and the other great products in our 2014 Holiday Gift Guide. I would like to try the all over butter for my dry skin. The candles sound great! Love that they come in such great scents. I visited the sweetriot holiday gift guide. Would Love Love Love to try this product!! !